This article explains you what RSVP is, how it works and how to configure RSVP on Cisco IOS routers. Thanks for such good explanation with much debugging messages. Very clear step by step, like all yours articles. Glad you liked it! I left routing out of this example but yes, you’ll need something for reachability. I’ve been searching for an RSVP implementation for linux and haven’t had good luck. Any chance you have come across anything? It seems like there hasn’t been any work since 2000. Hi Rene…thanks for taking time to put this wonderful post together. I’ve got a question. I did not see anywhere in the article you mentioning WFQ or CBWFQ…isn’t WFQ or CBWFQ a prerequisite for RSVP since the flows reservations are based on their QoS weightings? Your article is really good about RSVP. I have done my own implementation of RSVP into Linux and it works pretty well (I have the same result in R2 and R3 as you when I replace R1 and R4 by my Linux code). However, when I try to use the reservation done it never works. I have two big data flows going through R2 and R3, one matching the RSVP reservation and the other not. But it’s always the flow that I start first which is prioritary even when the reservation is present. I guess I’m missing a configuration point, but I didn’t see which one (And I have the exact same configuration for R2 and R3 than you have). Do you have any idea/lead to point me out? Good comment, RSVP does require WFQ to actually give priority by assigning a low weight. In this tutorial I only focused on RSVP itself and its reservations but this is important to know. Great article again so clear… Thnx to you ! As long as I read about that, we are able to implement QoS (DSCP or COS) mechanism for MPLS within EXP bits right instead of RSVP. How is the current MPLS network designs with QoS nowadays? RSVP is first precedence for MPLS ? Intserv (RSVP) isn’t used much to give packets a certain treatment, we use Diffserv (DSCP, COS, MPLS EXP bits) for this. The problem with Intserv is that it’s not scalable. In MPLS environments however, RSVP can be used for traffic engineering. I’m not familiar with this protocol but I’ve heard of RSVP-TE. It is used in my job. Do you cover it in this article or is it in another. I could not find it by searching. But the concept of RSVP that you explained here is same in MPLS-TE also right ? I have a question. This configuration sample showed reserve BW between R1 and R4 for telnet traffic, but what if I want to reserve BW for telnet traffic passing though R1 to R4, like I have a host A connecting on R1, and host B connecting on R4, and I’d like to RSVP 64k BW for telnet traffic from A to B which the traffic will passing through R1 and R4, and what if it’s multiple hosts to multiple hosts traffic I want to RSVP? Can you give me an example for that kind of cases? In order to understand how RSVP would work with hosts, you can replace R1 and R4 in the topology with two PCs. PCs can also be RSVP hosts and can request or deliver specific levels of QoS. You can even replace them with switches and have several PCs connected to each switch. A PC could still function as an RSVP host and request the bandwidth necessary from end to end. I hope u r doing well! The double ff means please? I’m doing good, hope you as well! • Fixed Filter (ff) is single reservation. • Shared Explicit (se) is shared reservation, limited scope. • Wild Card Filter (wf) is shared reservation, unlimited scope. 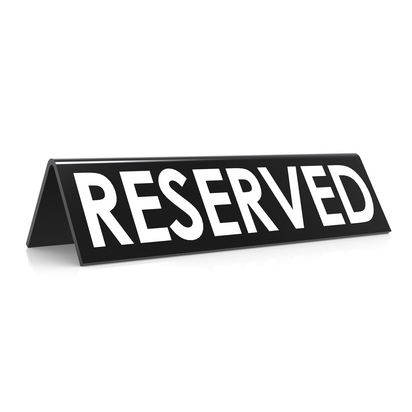 The fixed filter reservation means that we want to use a reservation for one specific source.